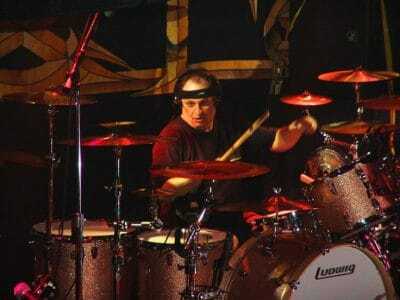 Original Y&T drummer Leonard Haze passed away on Sunday, September 11th while at sleep. Haze was born on September 7, 1955 and had just celebrated his 61st birthday. “It is with shock and sadness that I type this. Leonard Haze, the legendary drummer, and a guy I spent decades with creating great music together, has passed away at 61. This, just a few days after his birthday. I just woke up to this news, as I’m in Germany, and immediately called his wife, Kelly. She confirmed that Leonard had passed away in his sleep, a few hours ago, sometime between noon and 7:30pm on Sunday, September 11. Leonard has been struggling with COPD for years, but Kelly said that although his health had recently declined, they felt he had a few years left, so this is unexpected. My deepest condolences to Leonard‘s family and friends. His impact on the rock scene was well documented. September 12, 2016—Hayward, California—Leonard Haze, original drummer for legendary Bay Area rock band Y&T, passed away Sunday evening, September 11, 2016, at his home in Hayward. He was 61 years old. 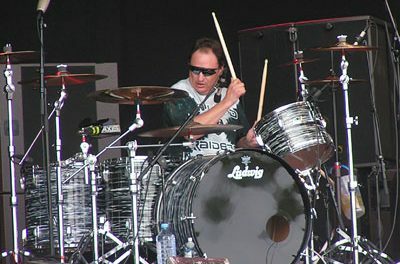 It was Haze‘s bass drum prowess that made his powerful drumming style legendary and, thanks to it, Y&T quickly developed the reputation as a must-see live band and musical powerhouse, headlining shows with opening acts such as Van Halen, Mötley Crüe, Stevie Ray Vaughan, and many others. Y&T‘s hard-driving style helped them land worldwide tours alongside such acts as AC/DC, Aerosmith, Ozzy Osbourne, and Rush, which resulted in the development of a strong following throughout Europe. 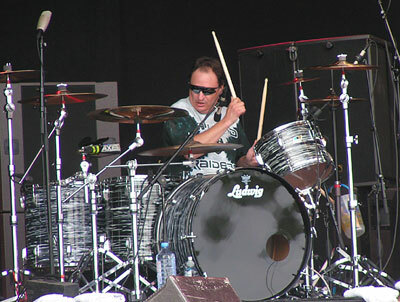 In the early Nineties, Haze played drums on Deep Purple vocalist Ian Gillan‘s solo album, Toolbox. Gillan subsequently asked him to join the band, and Haze was part of one of the first rock bands ever to not only perform, but tour, behind the “Iron Curtain,” traversing the Soviet Union during the cold war. After that tour, Haze became a permanent member of the Ian Gillan Band, continuing with a two-year world tour and performing in 71 countries.